Migraine is a type of headache that lasts for hours or days. There are migraines that are accompanied by auras such as seeing streaks of light or temporary blindness. These are considered as a warning that a migraine may occur. When you are suffering from migraine, you will tend to become overly sensitive to light. You will also opt to stay in a quiet place since migraine can cause you to be annoyed by both soft and loud sound. You have to be aware about the migraine headache symptoms. Aside from light and sound sensitivity, you will feel pain on either one side or both sides of your head. 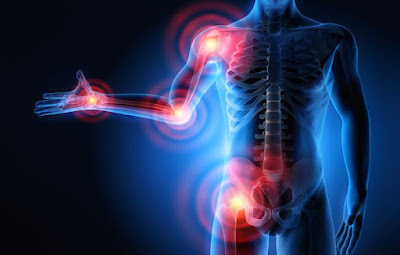 This is typically described as pulsating pain. The pain that is associated with migraine can be aggravated when you move. With this condition, your activities of daily living may be affected. Migraine headache symptoms usually last for about four hours. This may extend up to 72 hours. The symptoms may happen for a couple of times in a month. With some people, migraine may be less frequent. You can take note the number of times that you experienced migraine in a month. 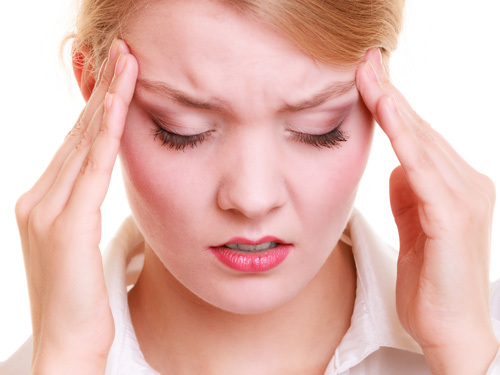 You should take note that migraine headache symptoms can be experienced with or without a warning. This is the basis of the two types of migraines. A classic migraine presents its symptoms after an aura. On the other hand, a common migraine is experienced without a warning. Aside from an aura, there are symptoms that you can feel hours or a day before you experience a migraine. These are called as a feeling of prodrome. You may feel that you have an intense energy before you have your migraine. You can also feel either extremely elated or irritable. There are people that feel unexplainable thirst or unusual cravings. You have to remember that you may or may not feel these symptoms. Some migraine episodes go away without being treated. However, you still have to keep track of the symptoms that you felt. You should also take note of the things that you did that may have helped in relieving you from the symptoms. The length of your migraine attack should also be listed. These are important points that you have to discuss with your doctor during your consultation. There are also other symptoms that you may misconceive as those of a migraine attack. If you feel a sudden headache that is really painful, you should rush to the nearest hospital. This may be related to other serious medical conditions. A headache that is accompanied by fever or mental confusion is another medical emergency. A migraine-related headache does not present with seizures, stiff neck or rashes. If you experience headache with the mentioned symptoms, you should consult a doctor at once. Aside from these, if you had a head injury and suddenly experienced headache, you should not mistake this as a migraine. Migraine is aggravated by movements but if your headache is worsened by coughing, this is a different case. Health and Fitness Goals - Are You as Fit as You Want to Be? If you don't like your answrs to these questions, you must change your lifestyle! There is a direct relationship between well-being and health. If your body is strong, your attitude will be, too. If your nutrition is high in value, your alertness will increase. And if your stamina is increased, so will your ability to accomplish more of your goals. Nice little circle. The primary benefit of white tea is that it is less processed than the other teas from the Camellia sinensis plant. White tea is harvested early in the Spring while the tender young buds and leaves still have a fine silver fuzz on them. The white appearance gives this specialty crop its name. Because it is not fermented like black tea or oolong tea, white tea retains more of the natural polyphenols (potent antioxidants). 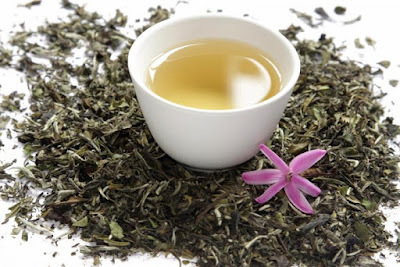 White Tea vs Green Tea The Benefit of White Tea - If you are one of those people who want the health benefits of green tea, but you just don't care for the taste, you should check out this benefit: white tea doesn't have that "green" or "grassy" flavor. It is mellow, but crisp, with a slightly sweet tone. Turmeric Enlivens Food And Helps Ease Inflammation - If your idea of a great evening includes digging into a rich curry at your local Indian restaurant, you've got lots of company. Indian food has gone from exotic fare to firm favorite in American cuisine. Indian Curry An added bonus to the flavorful experience is turmeric, the spice that gives Indian delicacies that distinctive reddish-orange hue. In its native land, turmeric is also prized by practitioners of Ayurveda (India's traditional health system) as a whole-body cleanser. Now scientists are deciphering this plant's healing powers, especially that of its primary chemical constituent, curcumin. What they've found: You can use a spice that fires the tongue to cool the fire of inflammation.